Long time, Finecosoft company is actively developing and adapting an information system for building the independent payment processing centers (e-money systems) for usage by diverse organizations. 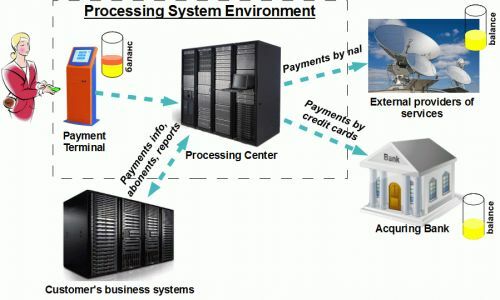 These system can process payment transactions both from individuals to external providers of diverse services, and to the system's owner for consuming its internal services. Those can be diverse services: mobile and cellular communications, Internet and housing services, tax payments, transportation services, etc. 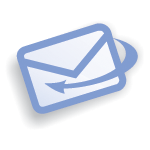 You can configure any number of service offers, if necessary for your business. When working through external providers, you become an intermediary provider (or a dealer) between payers and providers of services. In this way, you are able to organize your own business with getting the percentage from payment transactions. If your business involves collecting the payments for the internal services (mobile telephony, rental apartments, car parking, taxi services, etc. ), then you have the opportunity of accepting payments directly from payers without intermediaries. General elements of our solution are POS terminals with preinstalled software and E-Money server (Processing Center). Each terminal (any number of POS terminals can be used) communicates with server. This approach significantly simplifies deployment of large number of terminals and reduces the purchasing and maintenance costs. POS Terminal is a device which is able to get payments, perform an initial check of banknotes and (or) coins, save cash, display the local payment reports. It supports a set of devices which are managed by the POS software. Processing Server is designed for controlling the POS terminals, tracking the current state of the system, accumulation of the processing data, interacting with external service providers and banks. Deploying the payment processing solutions, you need perform large work thoroughly choosing the most effective solution. Often customers faces with the challenge of adapting an existing solution in the area of payment processing, and vendors are not able adapt those solutions for the business specific of a customer. For example, sometimes customers need accept payments for the internal services which should be added in the list of services over the POS terminals. As well, many existing solutions may be deployed on a limited number of technologies, for example, many POS terminals can work in only OS Windows. It's not well if you can not choose on your own the operation systems and POS devices, adapt GUI for POS terminals as you need, etc. Usually, it greatly increases the cost of the system deployment, if you need to use a large number of POS terminals and expand the scope of your business. You can avoid these restrictions choosing a solution which is open for development and adaptation for a specific customer. Ideally, a solution would be based on the wide range of technologies, such as Windows, Linux, Unix, Mac OS, etc. Customer should be able choose which parts must be deployed and whether he should pay for additional licenses of commercial middleware (for example, for additional database servers: Oracle, Microsoft SQL Server, IBM DB2; for application servers: IBM Websphere Application Server, etc.). You can also get more information going to detailed description of basic system functions.